How does a homeschooling lesson go? If done right, it sometimes wanders in unexpected directions. 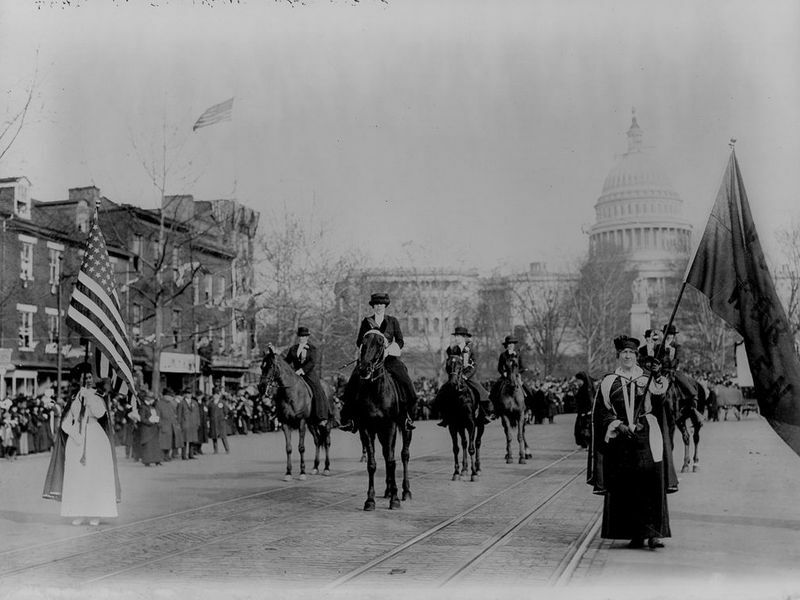 We’re currently studying the early women’s rights movement, including the early suffragists, the 19th Amendment, and the fight for equality before the law. We started with good, rather conventional material from the National Endowment for the Humanities Edsitement site, History.com, and PBS. I then assigned him a reading from Thaddeus Russell’s excellent A Renegade History of the United States. Russell argues, convincingly, I think, that prostitutes played at least as great a role as the much-discussed prominent activists in pushing the boundaries of what women could do by ignoring rules of propriety, acquiring wealth and investing in businesses, and breaking down legal hurdles. While reading Russell’s chapter, Anthony came across references to relative incomes in the early 20th century (men earned on average about $20 per week, while prostitutes could pull in $30-$50 per week). He connected this with a movie we recently saw–Harold Lloyd’s Safety Last, released in 1923, in which the character played by the comedian earned $15 per week and risked his life climbing a building to win a $1,000 prize. Anthony has a grasp on the concept of inflation, so he asked me what these dollar amounts meant in modern terms. So, off we went to the Cost of Living Calculator at the American Institute for Economic Research. Lloyd’s $1,000 prize, it turns out, is worth $14,294.12 in 2017 money. Fifteen minutes or so of fiddling with the calculator gave the kid a good idea of the declining value of the dollar over the last century. This led us to discuss wealth, purchasing power, and changing livings standards over those intervening years. What your money could buy you–and what could it not buy–then vs. now. So he read “You Are Richer Than John D. Rockefeller,” a fascinating article pointing out that the famously wealthy industrialist in 1910 couldn’t purchase antibiotics at any price, and lived uncomfortably by the standards of modern Americans of modest means. Then back we went to reading about the fight for equal rights. His history journal entry for today should be interesting.